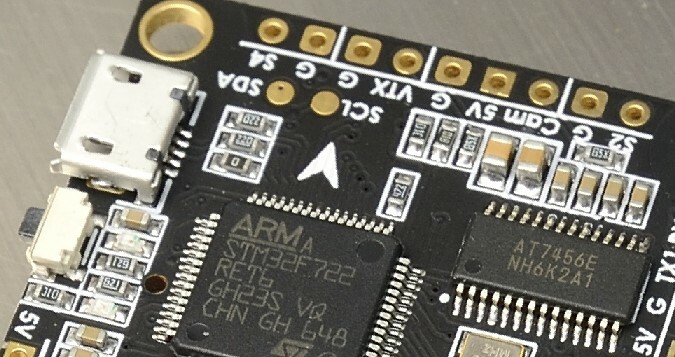 Betaflight wiki has a new board target listed from MATEKSYS – MATEKF722-STD. 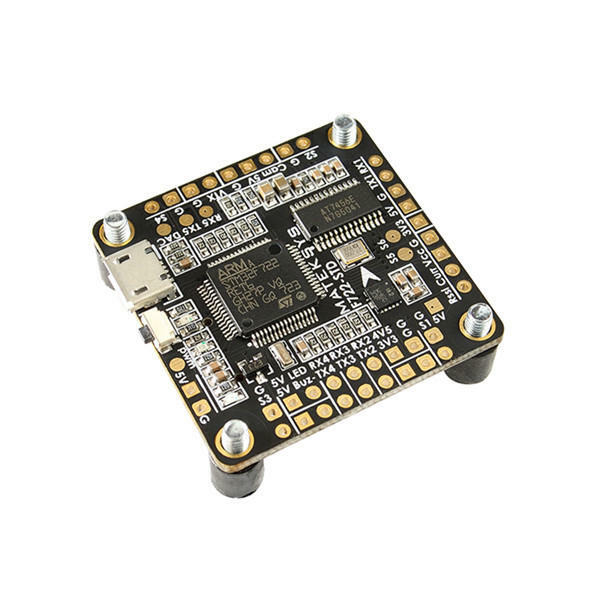 It features STM32F722 MCU+ICM20602, w/ Betaflight OSD & SD Card Slot. 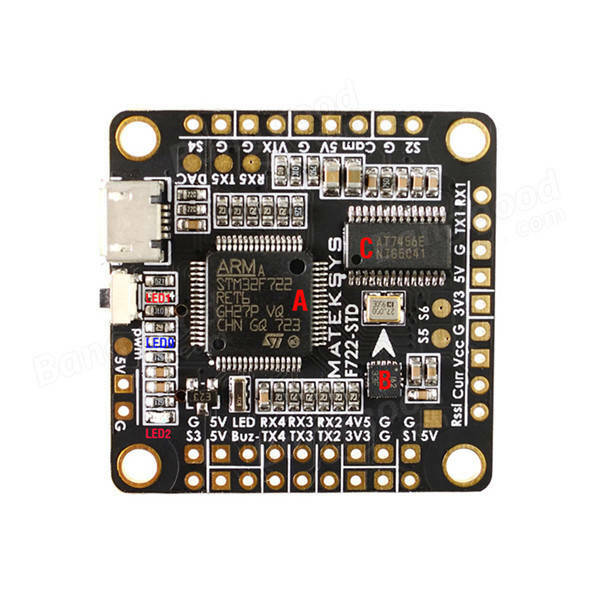 Should have the same flat ribbon cable connector to FCHUB-6S PDB board as MATEK F405-OSD for easier installation – no soldering or adittional wires required. Now we know it is happening for shure. The board has 5 (!) hardware UART ports (UART1, UART2, UART3, UART4, UART5). Gyro is fast 32K rate capable ICM20602 , workin in fast SPI bus. BMP280 barometer was added to the board as well. I2C bus pads (SDA SCL) for external devices. This FC has 3 variants of ESC connection: 1 – Group of G/S1/S2/S3/S4 pads for 4in1 ESC Signal/GND on the back side of the FC, 2 – ESC signal connection pads on the every corner of the FC ans 3 – flat ribbon cable connection with the FCHUB-6S or FCHUB-VTX connection. Yup I can confirm that Matek is working on it.